Pasta & Pinot—the popular dinner series from Forest Grove's Apolloni Vineyards—is back for its fifth year of handmade pastas and flowing vino at Portland-area restaurants. 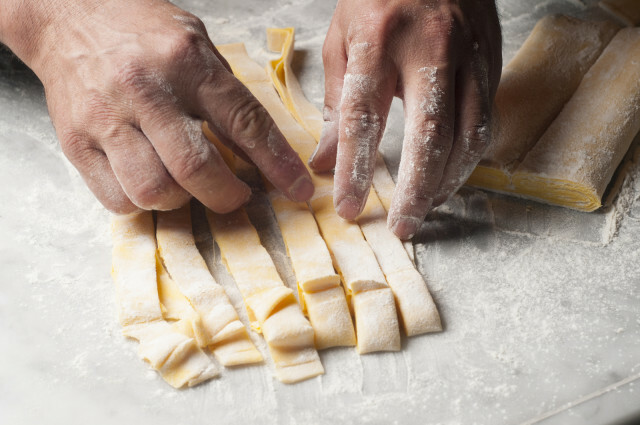 The casual four-course dinners highlight the efforts of local chefs taking liberties with the timeless canvas of pasta and wine, spotlighting hand-crafted, artisan pasta dishes paired with select reds, whites, or limited releases from Apolloni. As an added bonus of the relaxed format, guests will get to pick the brains of the chefs and winemakers and understand the deeper connections between the menu pairings. Past restaurants have included such notables as Lincoln, Nostrana, Tabla, and Simpatica, serving up dishes that stretch the limits of simple pasta (think wild mushroom gnocchi, venison sugo with pappardelle, and oyster arancini).